He felt he was out of options, so Brown put a call into the VA for help. He received a PTSD diagnosis after his military service, and workers moved to get him into a rehabilitation program through KVC Health Services. KANSAS CITY, Kan. -- After returning from serving in Iraq, James Brown’s life went in a downward spiral. 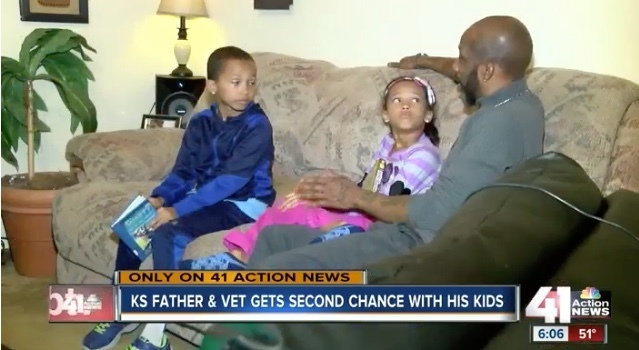 He got addicted to pain pills, went to jail and lost custody of his children. “It’s not how you start, but how you finish that matters.” The old saying rings true for Brown. 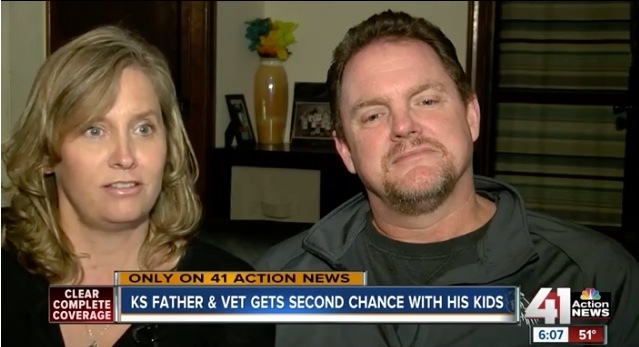 He served our country, then came home to a broken family. His troubles went out of control when his wife left him. Brown was arrested multiple times after his return from Iraq in 2015, once on a weapons charge. His two young children, Jayden and Adrianna, went to live with Cathy and Stu MacFarlane as part of the foster home program. While the couple has children of their own, they’ve also spent the past four years opening their home to children in need.